What’s that one thing that Polo Haus Malaysia gets people excited about? And this is what you can expect in their new promotional idea, in which a customer gets a branded leather keychain for free for every single 350RM receipt they present. Yet, while this is awesome news for the brand’s clientele, one should take note of how well-placed this gift with purchase is for the company’s sake. Great Brand Placement. You cannot ever mistake the Polo Haus’ logo for any other brands, and this is the only design you can find on this promotional high-end keychain. It does not have to be colored either. One only needs to take a quick look at the horse and the man on top of it, and he or she is going to know it is this specific brand. Secures More Purchases. Fact of the matter is, marketing ideas like this do secure more purchases. The brand is quite famous (if not very famous), and so a bigger number of people will want even just a tiny item from Polo Haus that not everyone can obtain. Made of High-Quality Material. Since the brand is renowned for its authentic leather, they must have seen it just to send out a freebie that is made out of the same high-quality material. It’s very simple, but it’s also very Polo Haus. 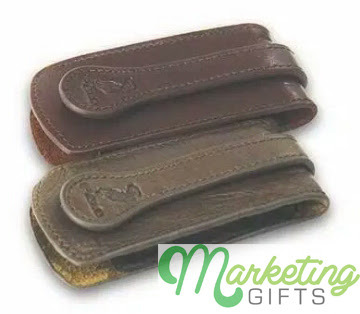 Planning to give away leather promotional products for your brand as well? Visit our blog or contact us at Marketing Gifts for more examples.